Carbon Creations C-1 Complete Body Kit - Интернет-магазин \"Шины и диски\"
Carbon Creations C-1 Complete Body Kit Carbon Creations products are made from the highest quality Grade A carbon fiber available. Each item is made with 100% hand-laid grade A carbon and is protected with a UV coating that will allow the finished product to hold its high gloss finish. 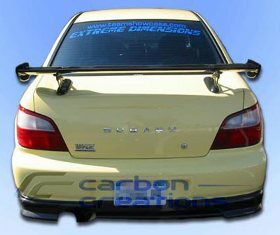 Carbon Creations products are known for its high quality, great fitment, lightweight, and show quality finish. Look for the Carbon Creations authenticity badge when purchasing from one of our authorized distributors. This Complete Kit Includes Carbon Creations C-1 Front Lip, Carbon Creations C-1 Rear Lip, and Carbon Creations C-1 Side Skirts. Цена по нашему прайс-листу - 70000 руб. Есть вопросы по Carbon Creations C-1 Complete Body Kit?